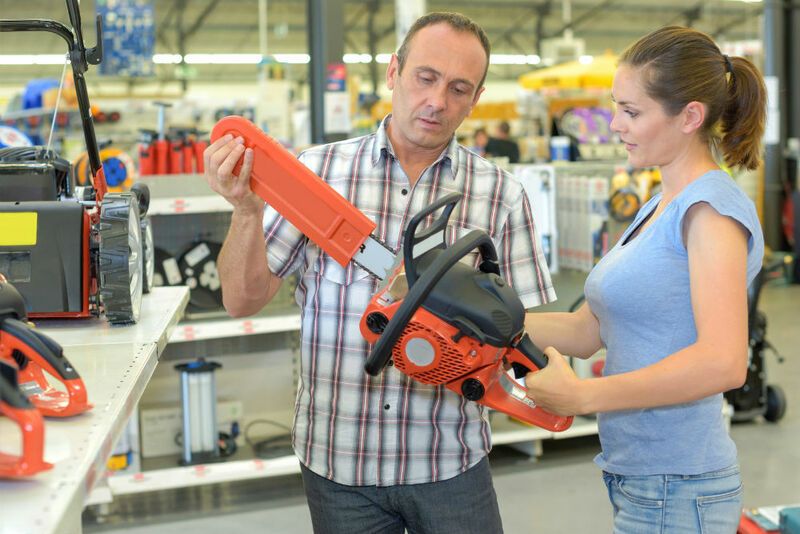 There are two types of electric chainsaws available in the market. These are corded and cordless chainsaws. 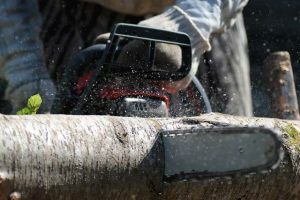 Both machines perform impressively, but when it comes to customer preference, some people will prefer the corded to the cordless and vice versa. Aside from preference, other factors such as power output, weight and price will influence choice of chainsaw. 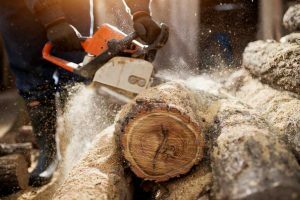 In this electric chainsaw comparison, we shall look at all these factors as well as give you an in-depth look at each chainsaw. 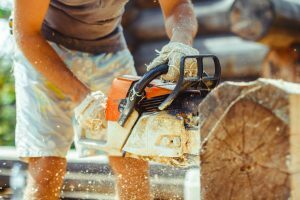 It is important to note that both types of electric chainsaws are powerful and will get the job done. These chainsaws will feature a power cable which connects to the extension cords. These machines are relatively more powerful than their cordless counterparts. However, the corded electric chainsaws are outdone when compared to gas chainsaws. 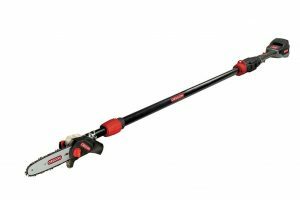 Ideally, these chainsaws are suitable for cutting down small trees and branches around or within your compound. As mentioned, these chainsaws will cut through larger and tougher logs than the cordless. Essentially, this is because of the difference in power output. Homeowners can use these cutting machines within a 100-feet distance from the power supply. In some cases, this distance could be shorter depending on the corded chainsaw used. 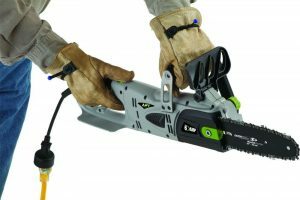 Corded electric chainsaws are driven by a motor which delivers about 8- 14.5 Amps. Different chainsaws will deliver different power outputs. The Earthwise (16”) Model CS30116-SD comes with a motor which can deliver up to 12 Amps of cutting power. The Greenworks (18”) Model 20332 will deliver more cutting power with its 14.5 Amp motor. Working with a good extension cords guarantees that optimal power supply as well as power output. As mentioned earlier, good extension cords will reach a maximum length of 100 feet. 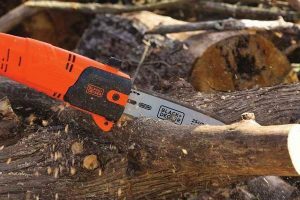 Other corded electric chainsaws will feature a shorter cable length, but this does not mean that power output is reduced. Note: Power cables longer than 100-feet will result in drop in power output, so stick to within the standard 100-feet. Most corded electric chainsaws will have cables of this length or shorter. Friction between the chain belt and the chain bar can result in serious wear and tear. Therefore, makers of quality chainsaws will include this feature in the machines. Look for an electric chainsaw which features an Automatic bar oiler which continuously lubricates the chain. This avoids wear and tear and improves the lifespan of the chain. Corded electric chainsaws are relatively heavier than the cordless. These chainsaws have a weight which ranges between 6 -17 lbs. They are therefore suitable for lighter projects which demand shorter periods of chainsaw usage. These electric chainsaws will not feature an extension cord like their close counterparts, the corded chainsaws. Instead, these chainsaws come with rechargeable batteries which supply power used in chopping down trees. There is definitely a certain flexibility that comes with working with such chainsaws, one of them being unlimited range of usability. The other notable perk to using these cordless chainsaws is usability even in remote areas without power supply. In terms of length of usage, these chainsaws will give you about two hours of chopping trees. However, different chainsaws will deliver different chopping times. If you plan to spend the entire day chopping down trees, it is advisable to carry extra charged batteries. Power output here is measure in terms of voltage. Cordless electric chainsaws will deliver a power output of between 24-82 volts. Chainsaws from different manufacturers will deliver different power outputs. For instance, the Craftsman C3 (10”) Model: CR2500A delivers 19.2 volts. On the other hand, the Black & Decker (8”) Model: CCS818 will deliver up to 18 volts. Older cordless chainsaws used to have Nickel-Cadmium (Ni-Cad) batteries. These batteries used to perform good, but not as good as the Lithium-Ion batteries. Here, performance is measured in power storage and delivery. Note: Lithium-Ion batteries do not lose power while the battery is being discharged. In other words, high performance is maintained throughout the cutting process. This was a big issue with the Nickel-Cadmium (Ni-Cad) batteries, where, as the battery is being discharged, the power supply reduces accordingly. Charge time was also an issue. Ni-Cad batteries used to take more time to charge (up to 12 hours) compared to Lithium-Ion batteries (about an hour). 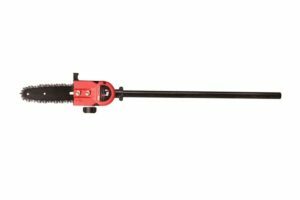 Advancements in chainsaw technology have seen the introduction of the tool-free chain tensioning feature. With just a flip of a switch, you can be able to tighten the chain without the need of a screwdriver. Ensure you look for this handy feature when you are out shopping for your next chainsaw. Lithium-ion batteries are known to be light in terms of how much they weigh – good news for those of us who are not as muscular as professional lumberjacks. This means that this is the better option for homeowners tackling small projects at home or within the neighborhood. The weight ranges between 5-15 lbs., depending on chainsaw used. A great example of a lightweight cordless electric chainsaw is the Greenworks (10”) Model 20182 which delivers an impressive 24 volts of cutting power. This is a no-brainer. Electric chainsaws, whether corded or cordless will not emit gas contaminants since no carbon-based fuel is used. This means they are a healthier option for the user and also to the environment. Electric chainsaws come are easier to start. 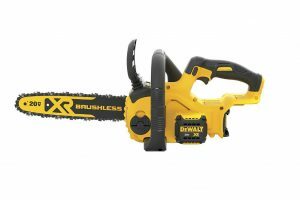 Unlike gas chainsaws which require pulling a cord a number of times, these electric chainsaws start by a flip of a switch – pretty convenient if you ask me. Unlike gasoline chainsaws, electric chainsaws require minimal service and maintenance. No oil changes are required after long periods of equipment dormancy. 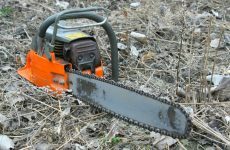 With electric chainsaws, owners do not incur additional costs in terms of fuel. However, you might incur a one-off additional cost if you want to buy extra Lithium-Ion batteries. 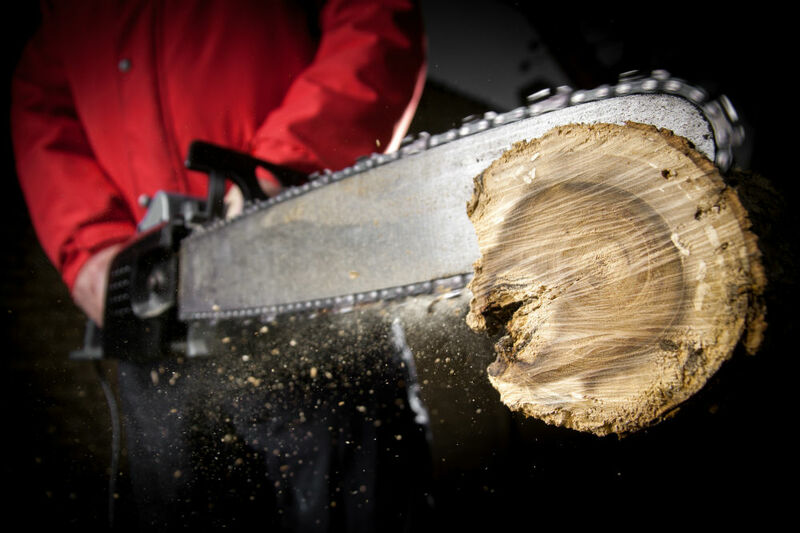 Lithium-Ion batteries produce less noise as compared to gas-powered chainsaws. This means less noise disturbance to people within your vicinity. Electric chainsaws are easier to store than gas-powered chainsaws. Gasoline chainsaws will require to be emptied out before storage in order to avoid damage. Electric chainsaws are cheaper than gasoline chainsaws in terms of initial cost as well as use and maintenance. So there you have it, an electric chainsaw comparison in terms of type – corded and cordless chainsaws. Whatever option you choose, you are guaranteed quality performance as well as other great features.